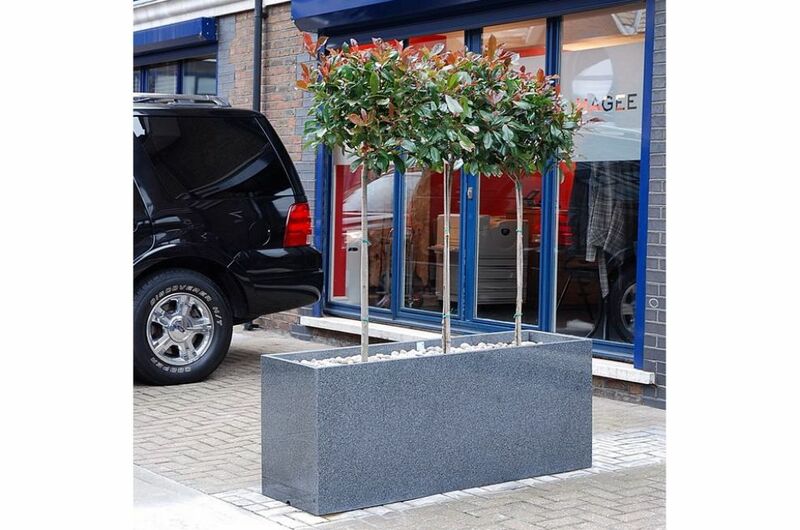 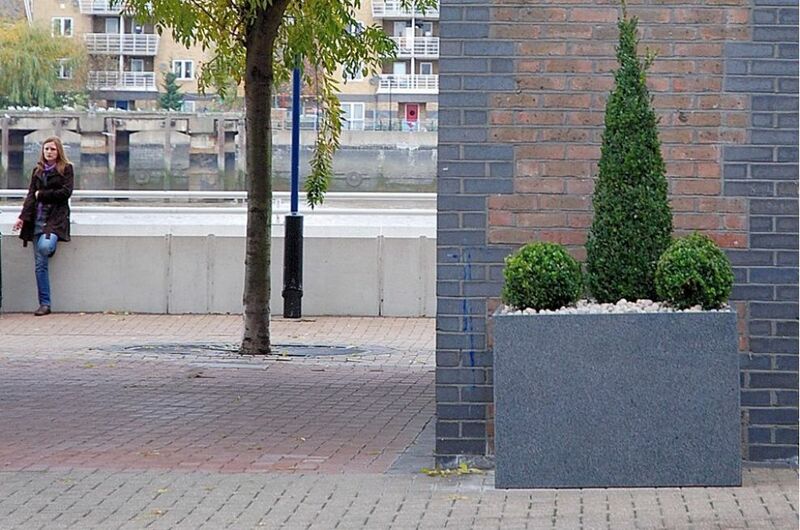 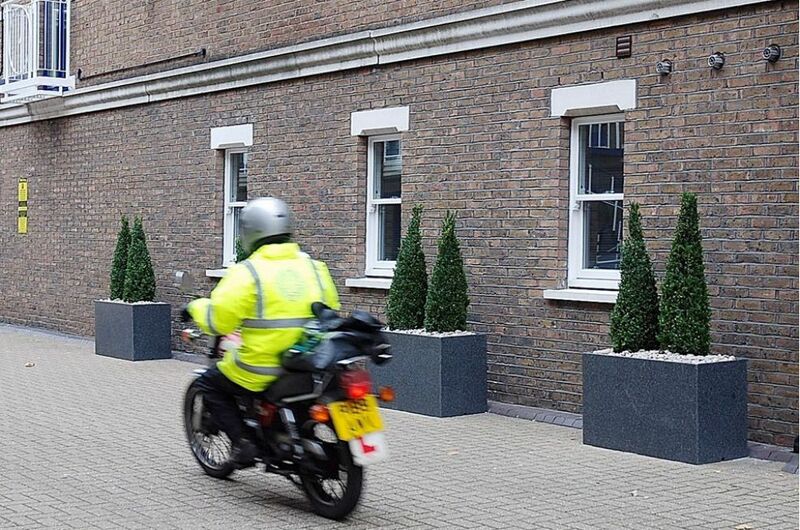 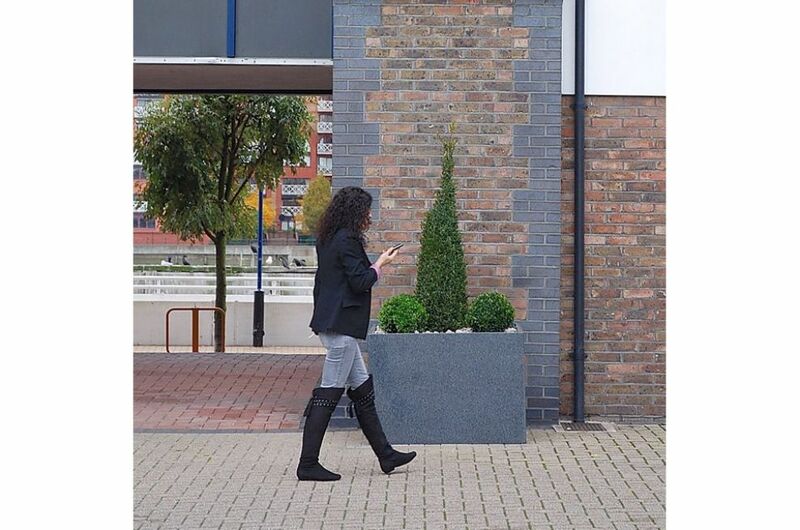 Custom granite planters from IOTA were commissioned for the Plantation Wharf, Battersea, London. 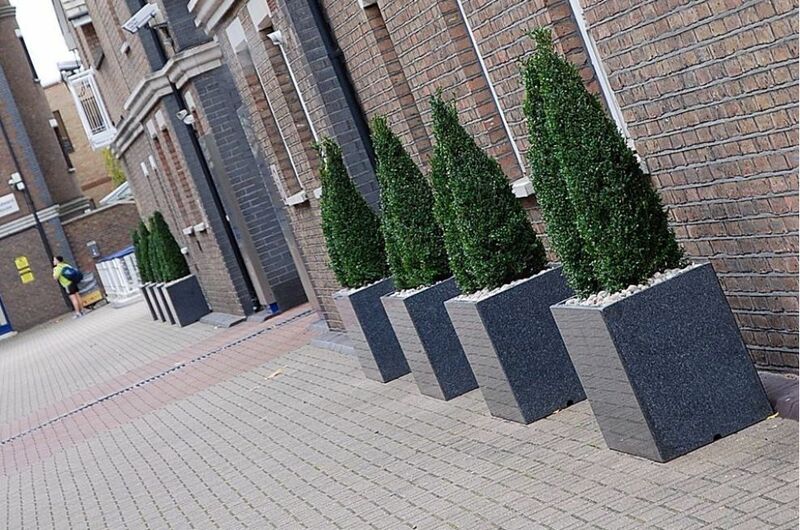 As part of a plan to upgrade the exterior landscaping at the wharf, dated powder-coated steel planters were replaced with 34 large polished granite planters of various sizes. 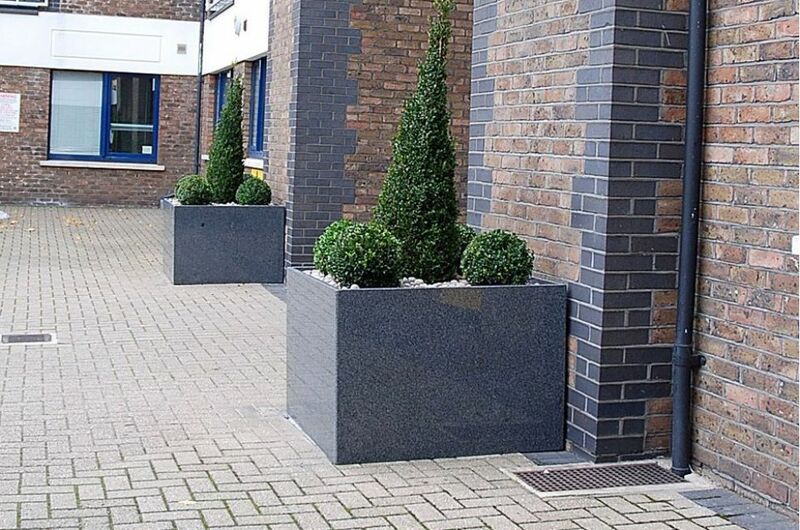 Trough planters were manufactured in three sizes up to 1800mm in length; and the scheme also used large, low planters 1000mm square and 700m high. 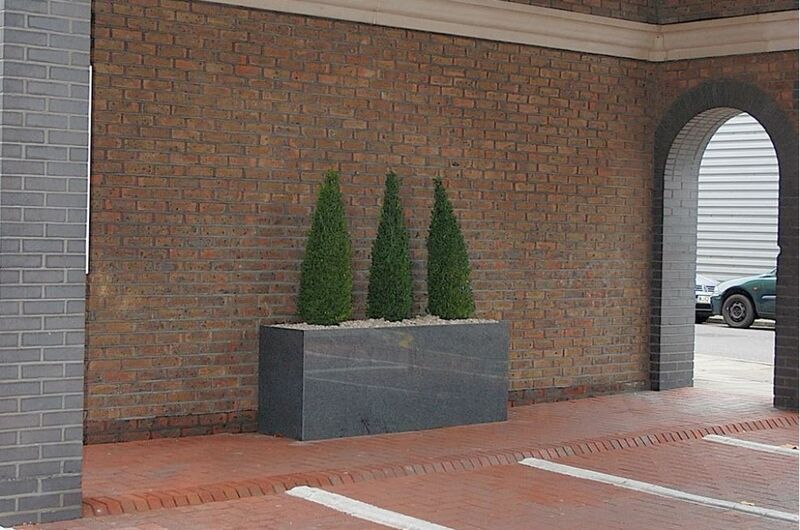 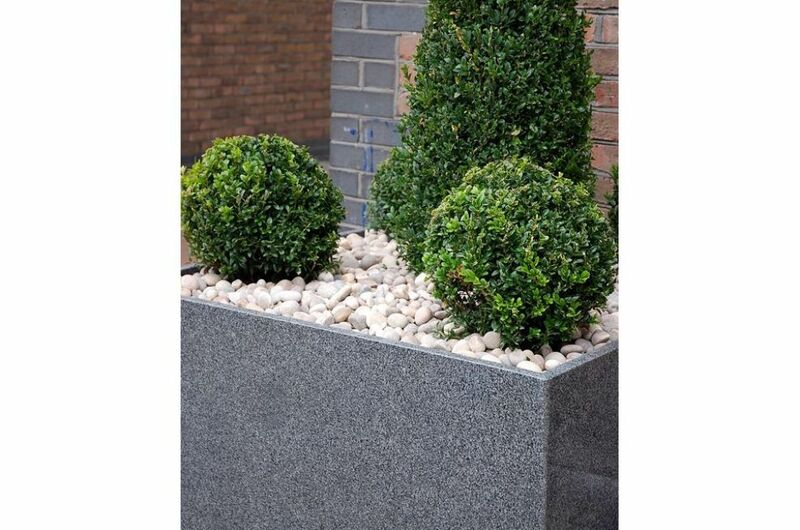 The planters are architecturally planted for year-round interest with evergreen Buxus and Ligustrum topiary. 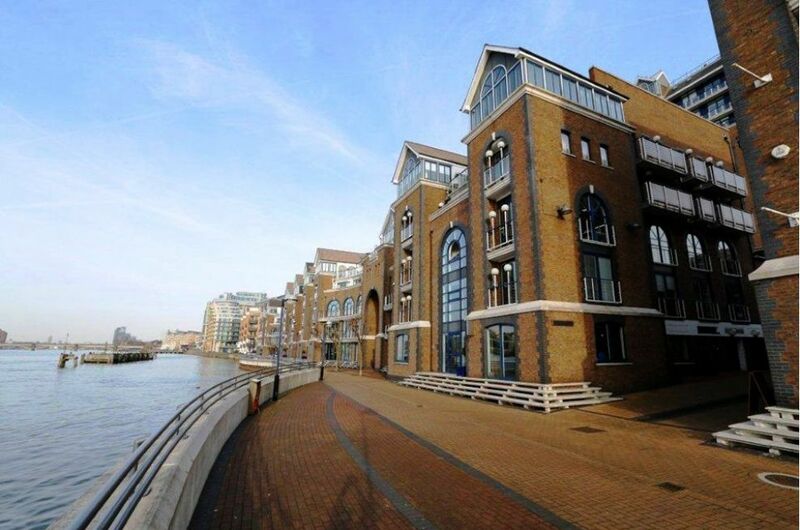 Plantation Wharf is located on the River Thames in London between Wandsworth and Battersea Bridges. 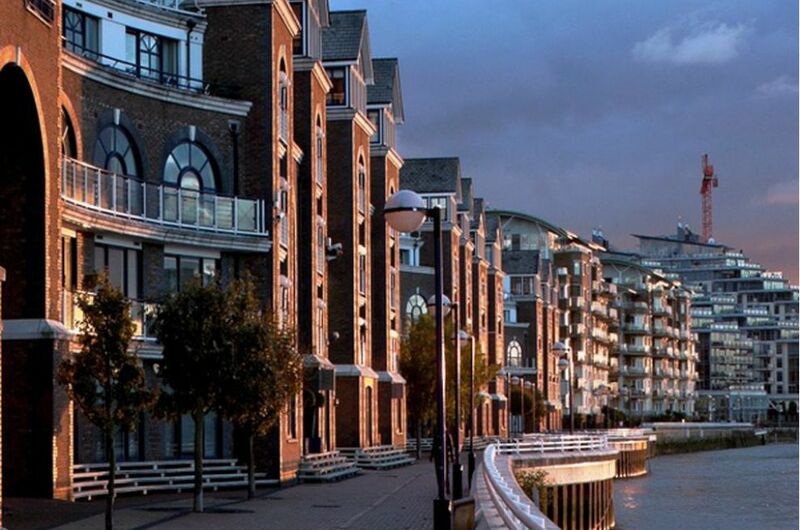 The 6 acre mixed-use development comprises 105,000 sq ft of office space and 200 residential apartments, in addition to retail and hospitality facilities.